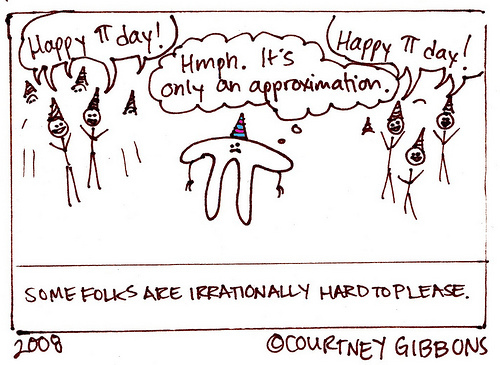 It is that time of year ... pi day (unless you are European, then it would be January 3rd). So let's break it down. pi=3.14159265 ... so the official pi time is March 14 at 1500 hours, 9 minutes, 26 seconds --- your mileage may vary. You can check out more fun facts at http://www.piday.org/.